Twin-body design with the evolving G series algorithm. The G360 has a vertical counterweight system with multiple precise counterweights. Panorama cameras and action cameras can be easily balanced on the G360. Using modular replacement fixtures, the G360 can support digital cameras and phones in addition to sports cameras and panorama cameras. 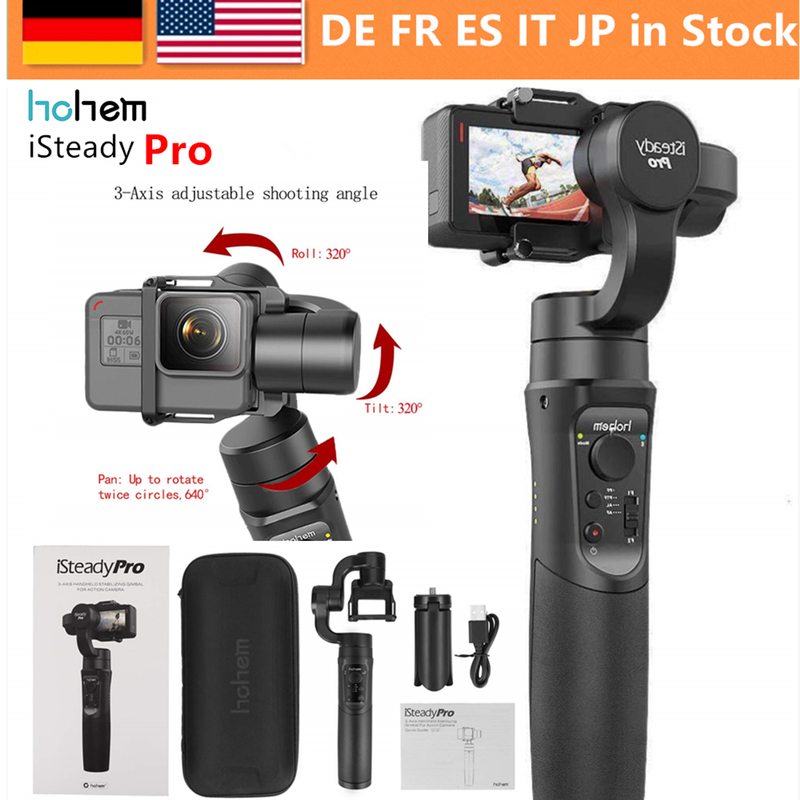 It\'s all camera gimbals in one. Dynamic panorama within one touch, the panoramic image is smooth, stable and perfectly coherent. The Feiyu ON app further strengthens the G360 by enabling remote control. Through its Micro-USB port, the G360 can charge its battery directly through external power sources including a power bank. Compatibility: For Samsung Gear 360, for Xiaomi Mijia, for Kodak Pixpro SP360 SP360 4K, for RICOH THETA SC, for INSTA360 NANO (need to use with camera support: D4681) panoramic cameras, for Sony FDR-X3000, for GoPro Hero 3 3+ 4 5 (need to use with waterproof housing and camera base mount), for Nikon KeyMission series action camera, etc. Camera, phone and phone adapter are not included. If you want to use on the smartphone, need purchase the phone clip.